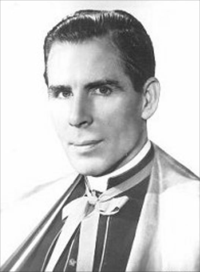 Notice that the Catholic O’Conner indicated that Archbishop Sheen supported the idea that an anti-pope would rise up. And if the 12th century Malachy prophecies about the remaining popes was complete and correct, then the current Pope Francis would be the anti-pope (there were 112 on that list and Pope Benedict XVI was number 111). It should be noted that Malachy’s list contains anti-popes according to Catholic scholars (and they have none for centuries by their count). At least one Cardinal (Australian Cardinal George Pell) has seemingly indicated that Pope Francis could be an antipope (for some details, watch the video Anti-Pope Francis?). This entry was posted on Tuesday, December 9th, 2014 at 12:01 am	and is filed under Prophecy, Religious News.